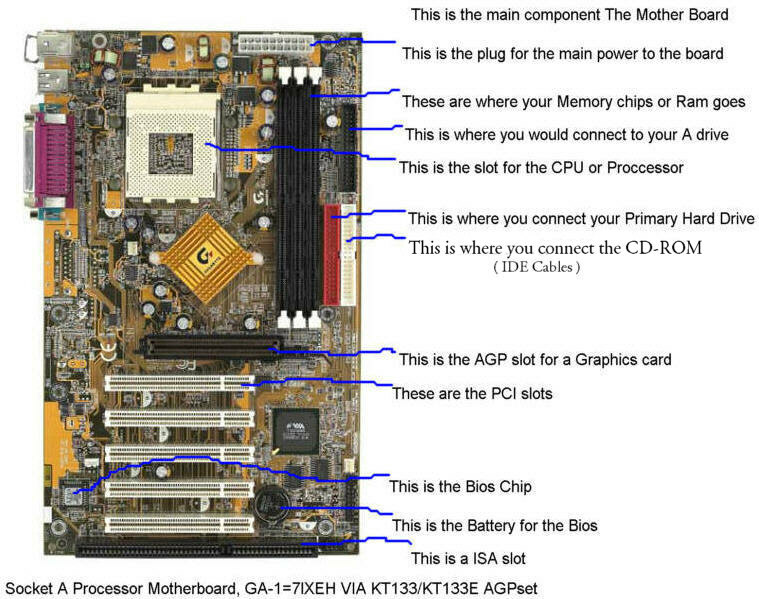 These are some of the more common parts of a computer. The motherboards will look different depending on the manufacture and type of CPU you use. The Other cards such as the Network Card, Sound Cards, Modem Cards and Graphics Cards will look different also depending on the manufacture and type of card you buy. But they will all look very similar to the ones shown. On the right side is a Red line on the cable, that goes on the same side as the power supply on the Hard Drive, there is also, usually a notch that it fits into. ** The CD-ROM Drive is similar to the Hard Drive, as far as the connections on the back and jumpers. This is a Graphics Card for the AGP slot, called the Accelerated Graphics Port, you can also get one for the PCI slot, in case your motherboard does not have the AGP slot. This is a Sound Card for the PCI slot, most all Sound cards are for the PCI slot. 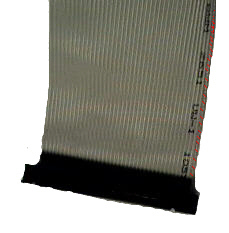 This is a Network card for the PCI slot, used for a Broadband connection, like cable or DSL. This is a Ram Memory Chip, notice the notches on the bottom, it can only go into the slot one way, those notches have to line up with the ones in the slot. 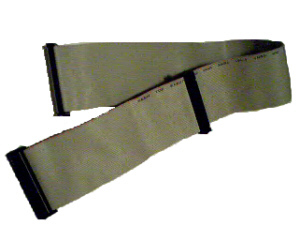 Make sure it is seated all the way and the white clips are clipped into the notches on the sides. 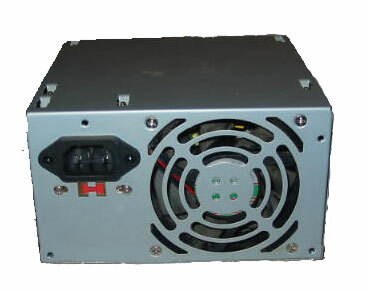 Computer Power Supply, this supplies the electricity to all the parts in the computer. This is the only part that holds electricity after you unplug the Power Cord and should only be serviced by a Qualified Tech. 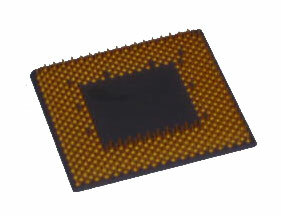 This is a CPU the Central Processing Unit, this sends all the info to the different parts of your computer. This is the bottom of the CPU showing all the pins, they fit into a slot on the Motherboard. 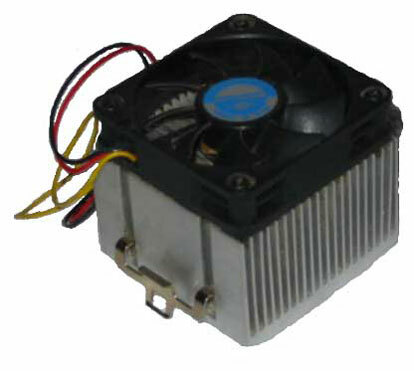 This sits on top of the CPU and draws heat up into the fins of the Heat Sink, then the Fan pulls air up and through the fins cooling them. That is how the CPU is stays cool, otherwise it would over heat and shut down the computer.